If the template you are importing was created in the Network view, make sure to import it first and to drop it into either the Network view or the left side of the Timeline view. If you don't do this you may break some network connections. 1. Create a new Harmony project. 2. 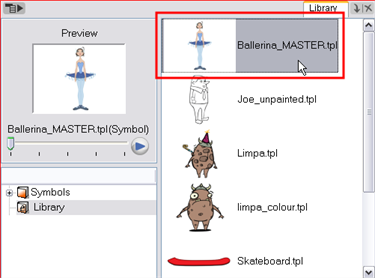 In the Library view, select a character master template to animate. 3. Drag the selected template to the Camera or Timeline view’s left side. 4. In the Timeline view, drag the red scene length bracket to extend or shorten your scene length. In Harmony you can create your character template from the Network view. 1. Create your new Harmony project. 2. 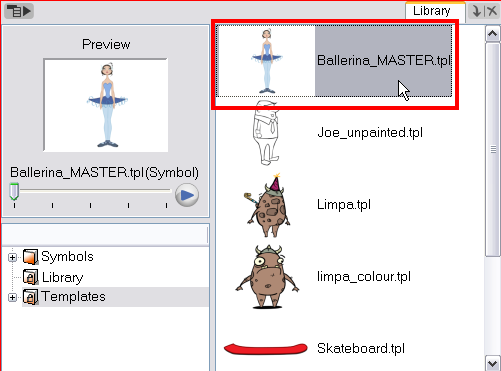 In the Library view, select the character's master template you want to animate. 3. 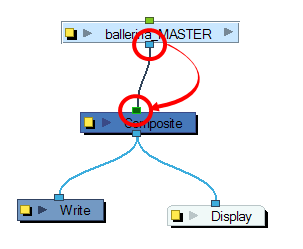 Drag the selected template to the Network, Camera or Timeline view's left side. 4. 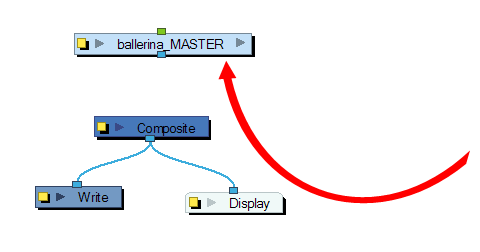 In the Network view, connect the template's Group module to the Composite module, by clicking it's out-port and dragging the connection to the Composite module until an in-port appears. 5. In the Timeline view, extend or shorten the scene length by dragging the scene length bracket.